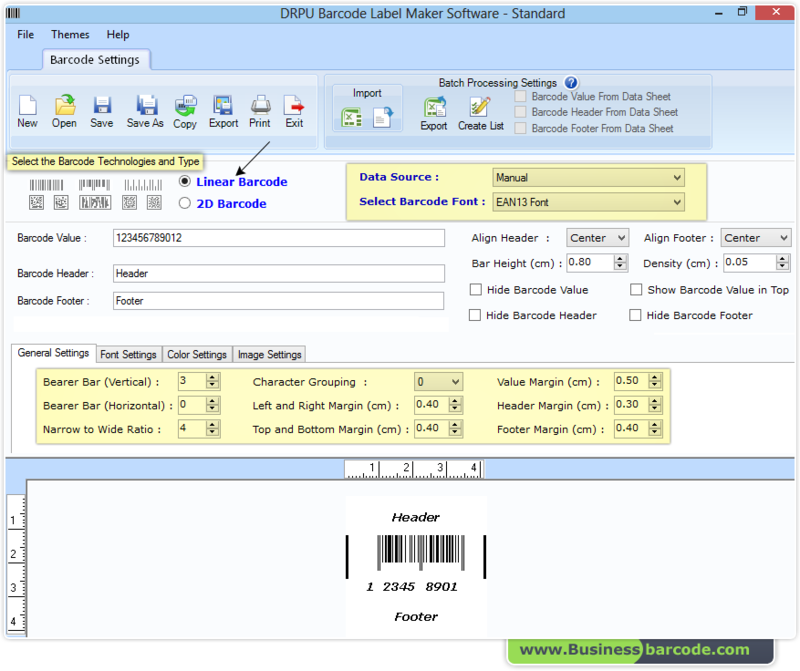 Select Barcode technologies and type to design any industry barcode image with different barcode header, footer and value. 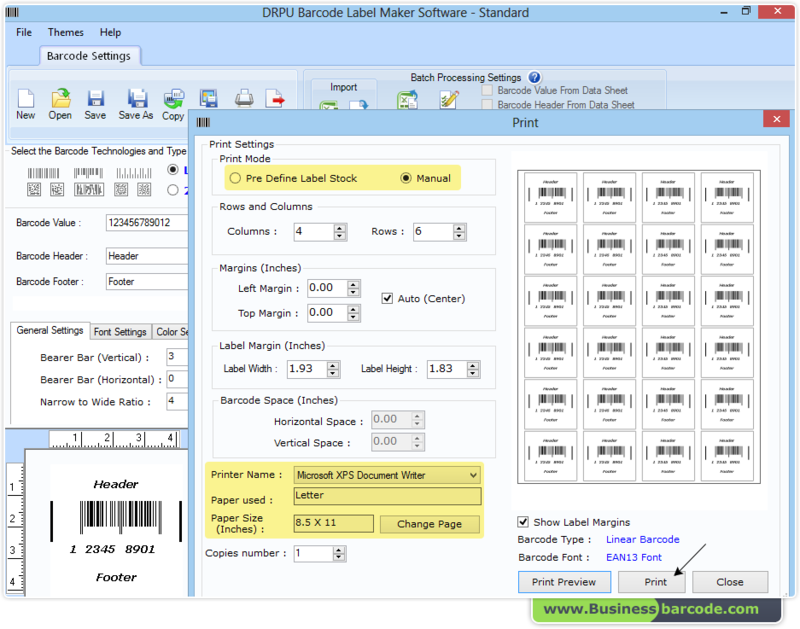 Now print multiple copies of your designed barcode images as per industry requirement. Choose print mode, fill all the requirements and Click on print button.